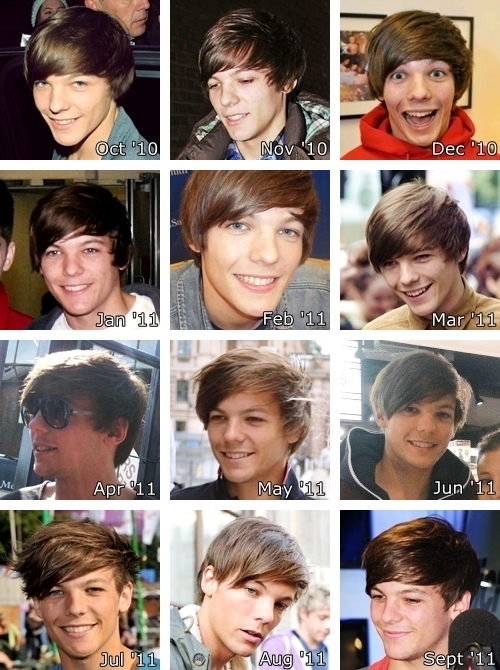 Louis' hair through the ages. . Wallpaper and background images in the louis tomlinson club tagged: photo tumblr not mine louis 2010 2011 2012 2013. This louis tomlinson photo contains retrato, headshot, close up, and closeup.